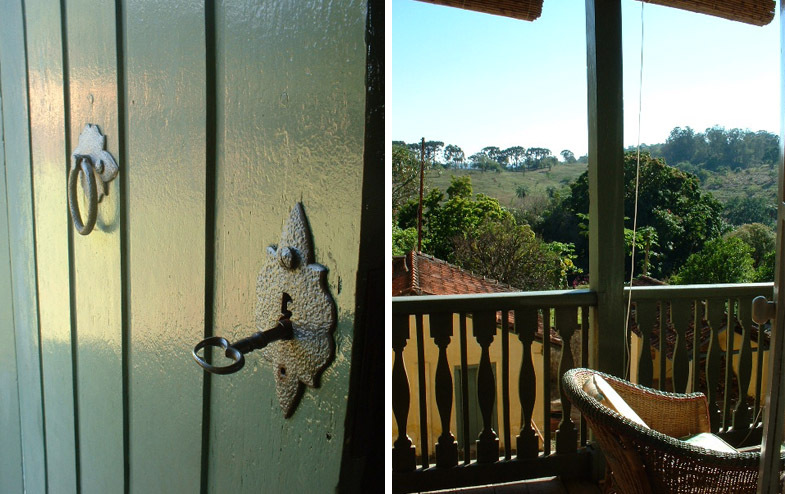 An organic farm, a model of environmental preservation, a historic coffee plantation, Fazenda Fortaleza offers retreats centered on different themes of your choice. Culinary: Healthy choices and Ethnic choices. All events are planned so that there is free time to explore our 2000-acres. If you come to visit FAF you've got lots choices of things to do. You can always just stay in one of the hammocks outside your room, but if you feel a little more adventurous, we can help you work up an appetite for the wonderful meals served in the dining room. Meals are cooked daily in a firewood stove, fresh and organic, almost every item grown on site. The farm produces its own cheeses such as muzzrella, provolone, fresh cheese and dried yogurt, as well as jams and honey. 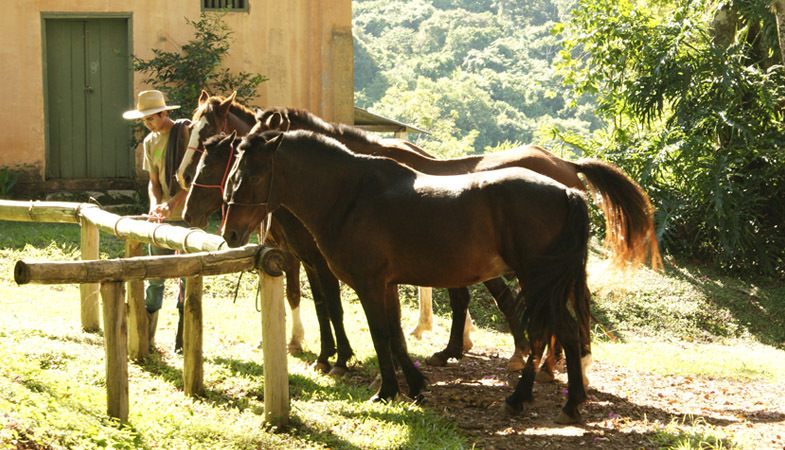 We offer guided tours of the working coffee plantation and activities such as hiking trails, swimming in lake, cheese making, de-hidrating fruits, beekeeping, horseback riding, visiting neighboring farms ( cachaça, agro-forest, free range pig raising, Brazilian history), social/craft/education in the village. Experience the rebirth of the rainforest in Tropical Brazil. Visit a small original forest, hug its hundreds-year-old trees, and drink the pure water that springs from their roots. Watch the birds and butterflies living happily in a place with no chemical pesticide or fertilizer. Hike through the trails that crisscross our secondary forest, and see nature recreating itself at different stages. Hike through our 2000-acre plantation, observing the variety of organic methods we are using: passive organic; active organic; planting coffee in the forest; planting a forest in the coffee plantation; starting from seeds or from seedlings. 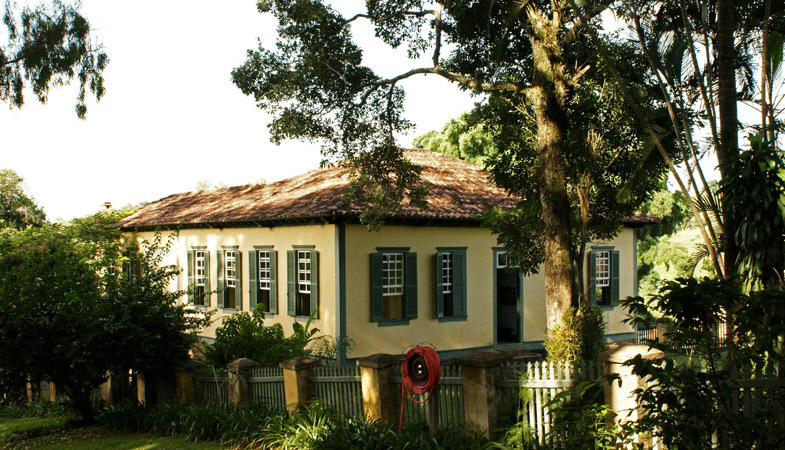 While FAF is not a Hotel, open to the public, we do have excellent facilities for hosting groups at the farm, for meetings and seminars, family reunions, ecological tours, company retreats or just for relaxing in our beautiful surroundings. We offer communal indoor and outdoor dining facilities. We can accomodate up to 30 guests, in 6 independent cottages. 10 in suítes and 20 in student-style dormitory.